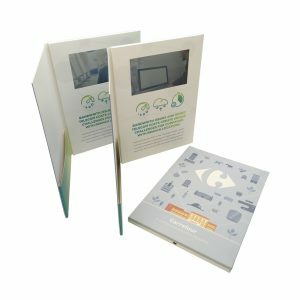 Our A4, 10.1 Inch video brochure is our biggest video brochure card that we offer and its 10.1 inch screen is truly powerful in conveying your video message. 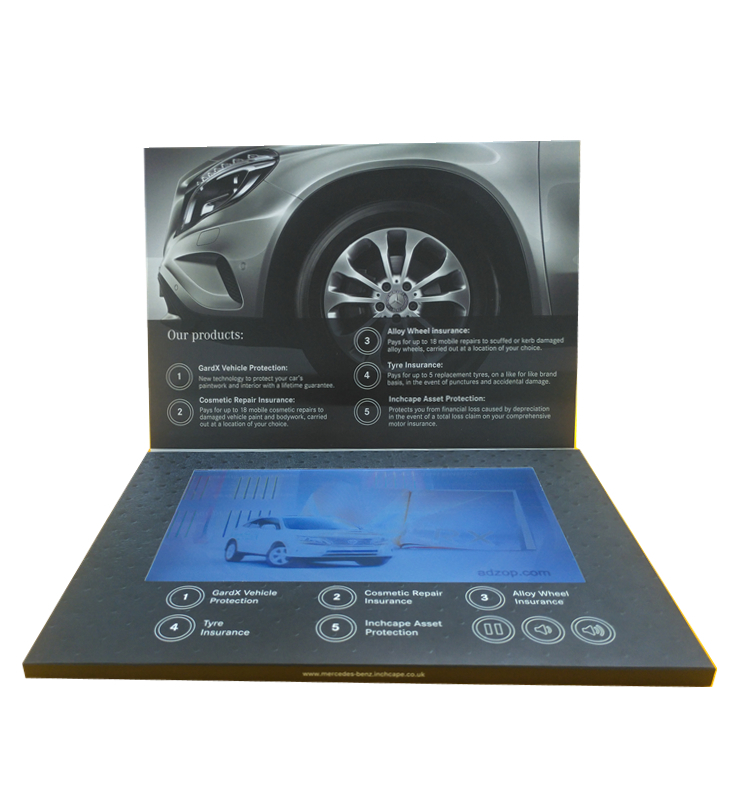 We also do the A4 video brochure cards with a 7-inch screen and this can be found on our shop page. 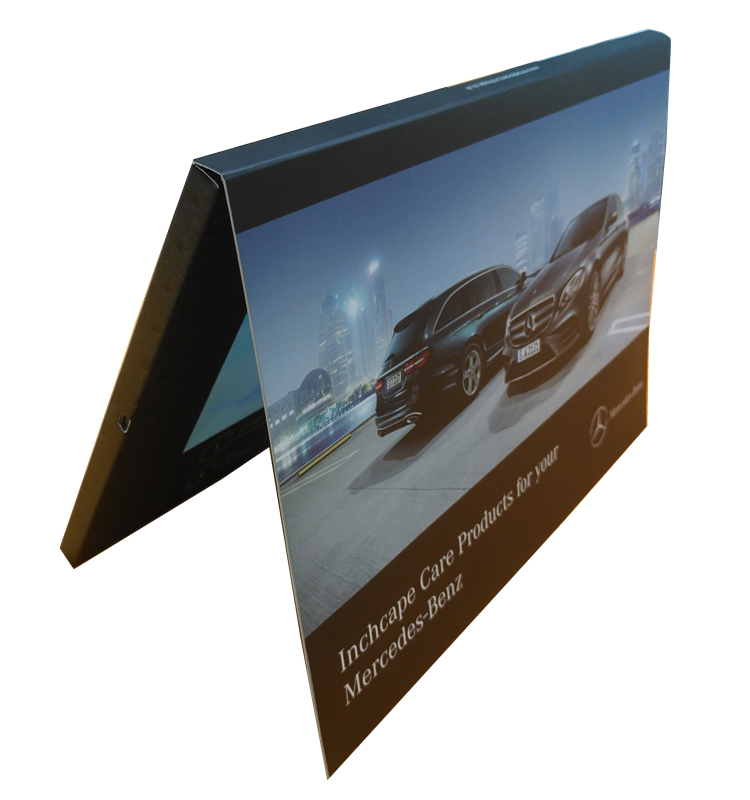 The 10.1-inch video screen (bigger than the standard iPad) is currently the largest we offer in our video brochure range. 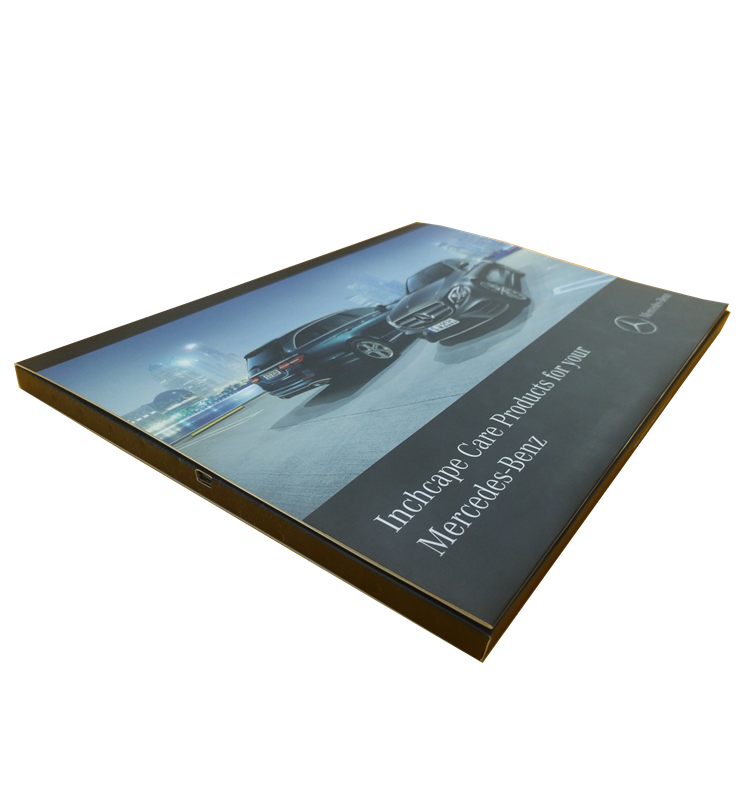 As such, it is ideally suited to carry even the most complex presentation, video or animation. Our LCD (liquid crystal displays) screens have IPS (In-plane-switching) technology that allows wide-angle viewing, so they can be watched by several people at a time. 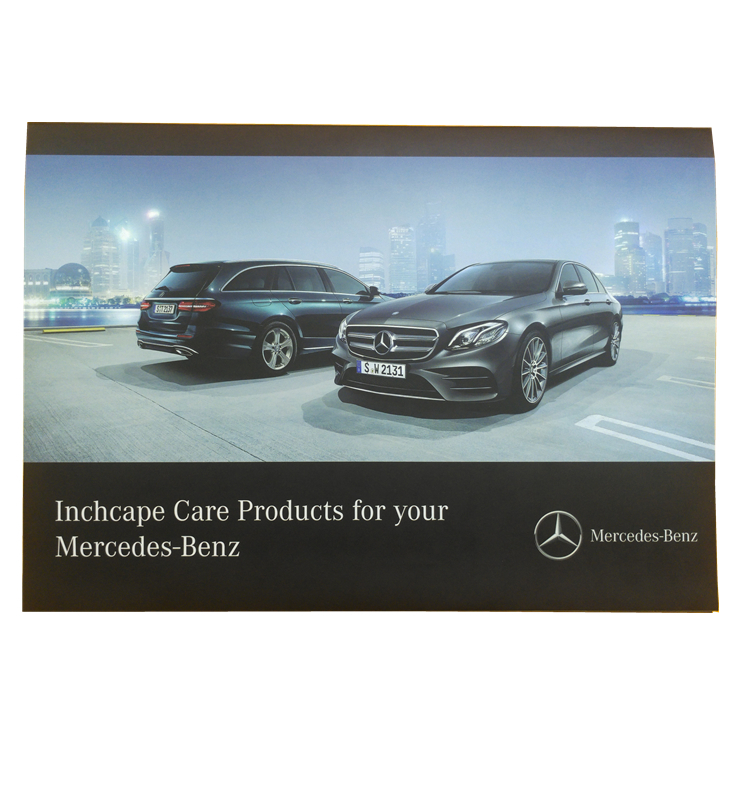 The 10.1-inch video brochure is popular in the luxury retail market as not only can it show large, high-quality images, but also the packaging can be customized to your brand, giving it a sense of quality and exclusivity. 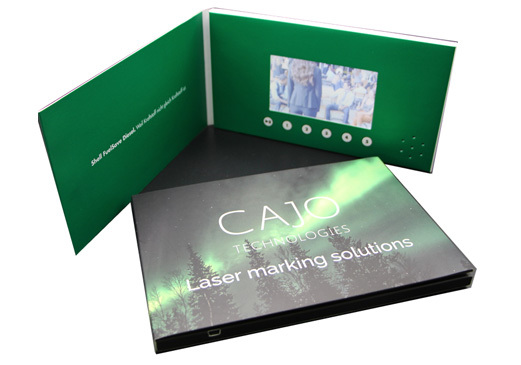 We offer a memory of up to 16GB to cater for the complexity of your video message and can fit the video brochure with an 8,000 milliamperes power bank to allow maximum available viewing time before the video brochure needs re-charging. The video brochures are marvellous! Excellent support and recommendations from the team. Thank you for being so patient with all changes. The brochures turned out to be perfect! 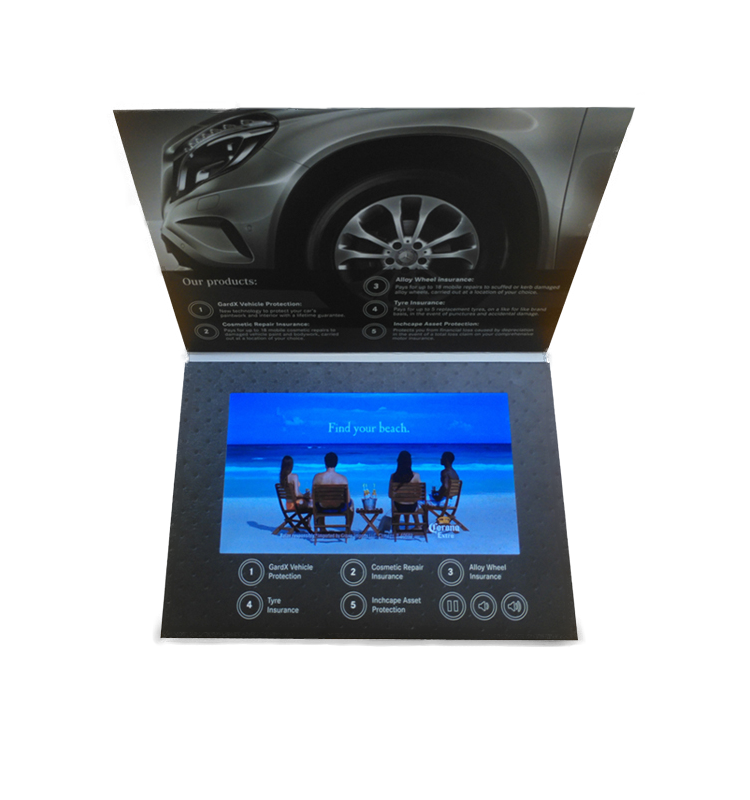 Brochure Screen: HD IPS (in-plane switching) screen technology for LCDs (liquid-crystal displays) with a viewing angle of up to 176°. 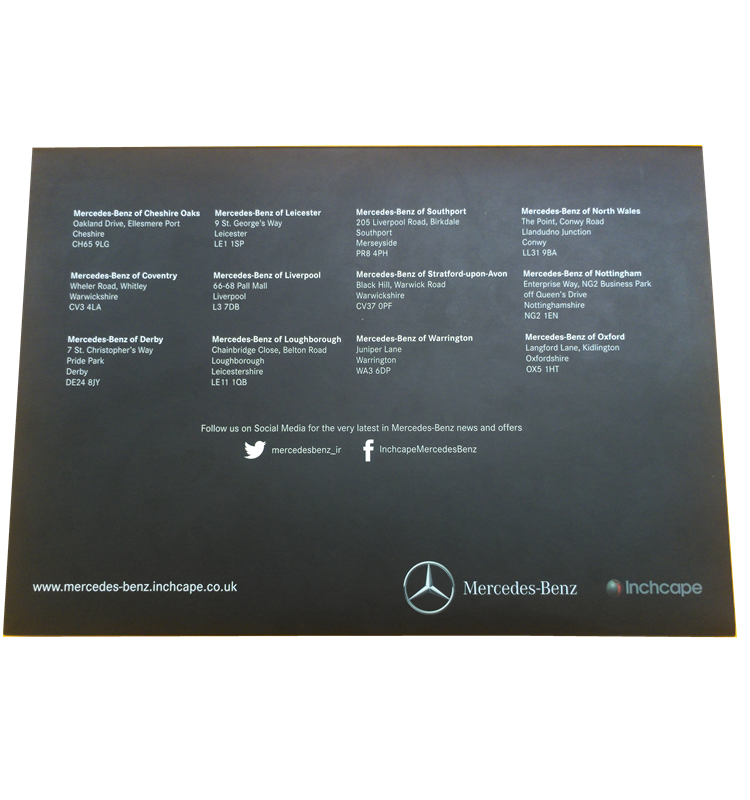 Brochure Card Depth: Softcover - 9mm, Hardcover - 14.5mm. Can I use my own branding on the video brochure? Yes, you can. We provide design templates available to download. 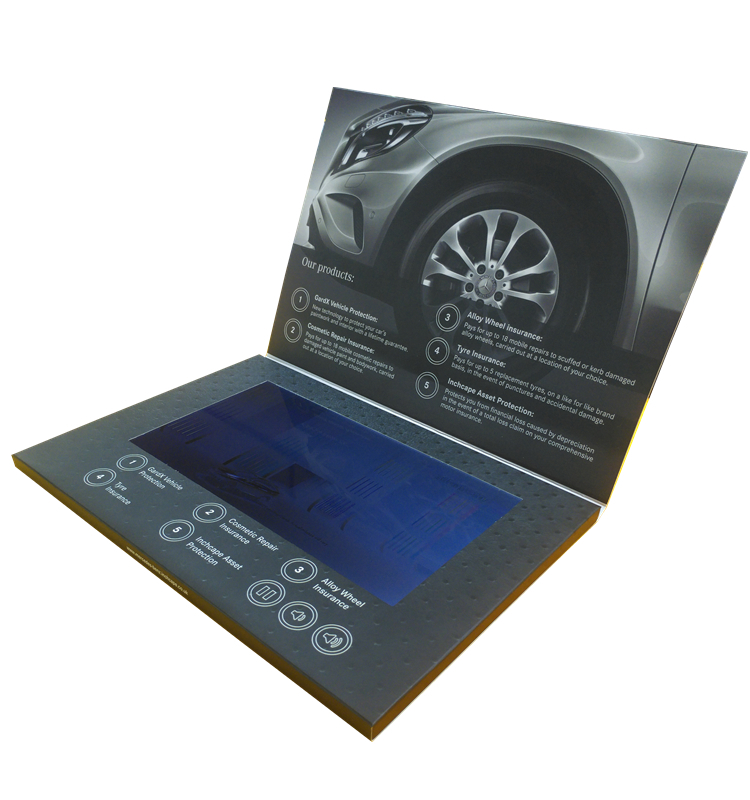 The templates give you guidance depending on the size of the video brochure. 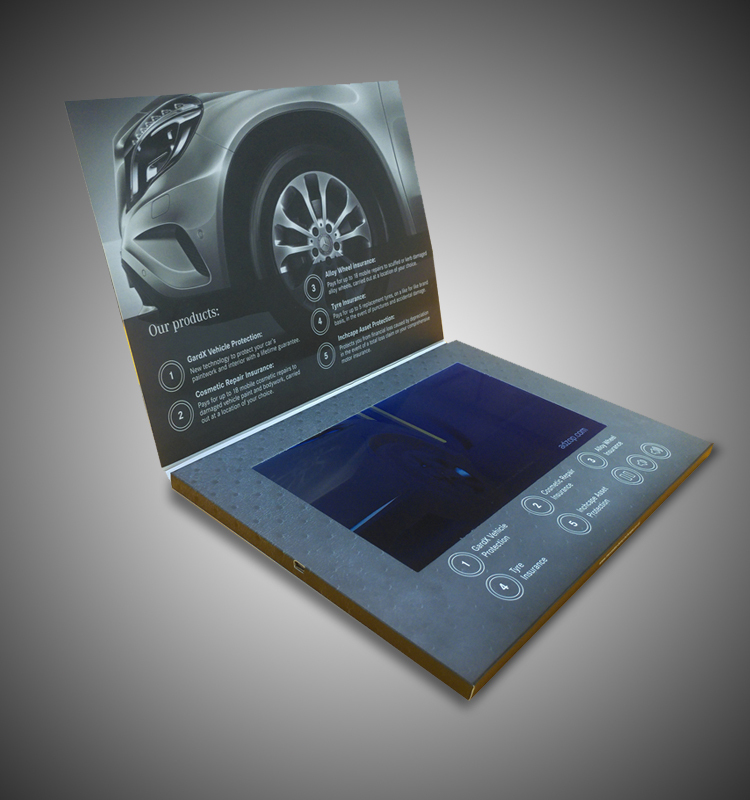 Once we receive your design templates, we will send your video brochures to production. What screen sizes are available? For A5 the following screen sizes are available: 4.3-inch 5-inch 7-inch For an A4 brochure the above-mentioned sizes are available at request, in addition to a 10.1-inch screen. How do I load videos onto the video brochure? 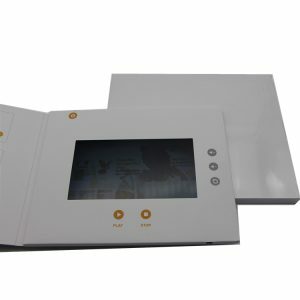 The video brochures are delivered with a mini USB connection and a small USB cable that can be easily connected to any laptop or other device to drag and drop videos. We can upload the video for you, alternatively, you can upload the videos yourself once received them. What kind of printing finish is available on the video brochures? What is the lead time for video brochure production? Our video brochures typically take 7 days to build from sign off of contract and receipt of 50% payment. Depending on shipping location, you should expect the brochures to take 7-9 days to ship to your destination. What is the minimum video brochure order size? We are happy to work with our clients on orders as low as 5 units, however, we do say that because the cost per unit increases so much at such a small order size, this is not recommended. We would recommend you try to keep your minimum order size to 50 units. What is a video brochure? 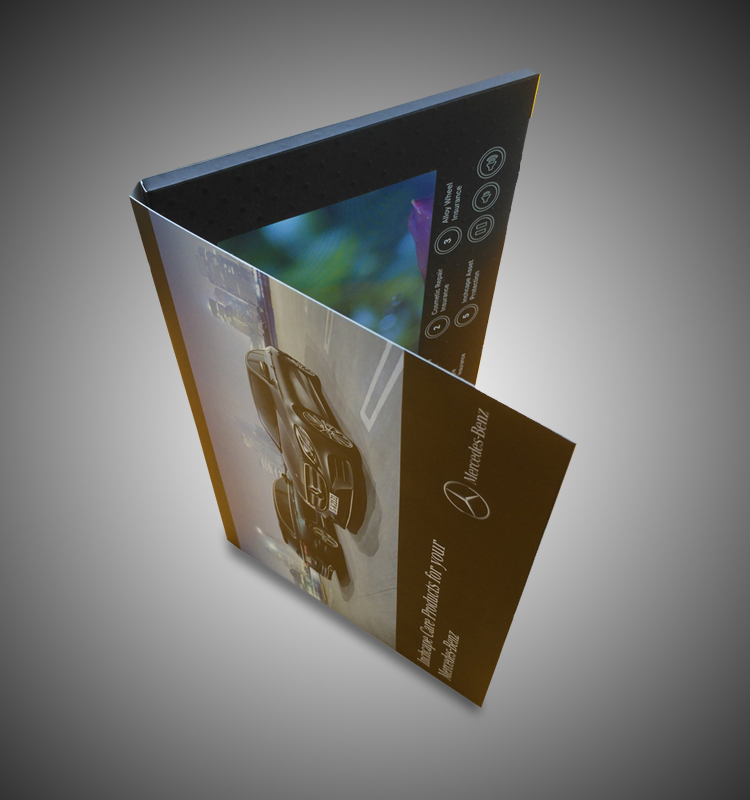 Video brochures are a blend of a printed brochure and a video screen. When the brochure is opened, a video auto-plays a video. All screens are LCD (liquid crystal displays) screens with an IPS (In-plane-switching) screen technology that allows wide-angle viewing. What video brochure sizes are available? How much memory do the video brochures come with? All of our video brochures come with a standard memory capacity of 512MB (30-minute video duration). We also offer brochures with memory of up to 16GB (700-minute video duration) should that be required. Can I have more than one video on a video brochure? Yes. As long as it is within the purchased or standard memory capacity. Can I prevent others from stealing my content on the video brochure? Yes. All video content can be locked. How long do the batteries of the video brochures last? Customers can choose between 500 mAh standard battery which lasts up to an hour, up to 8000 mAh which lasts up to 20 hours depending on the various screen sizes. Generally speaking the smaller the screen the longer the battery lasts. All video brochures can be RECHARGED with a USB cable which will be provided and is included in the price. Click here to get your hands on one of our free video brochure samples!